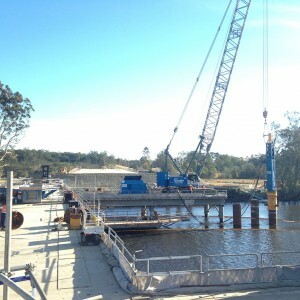 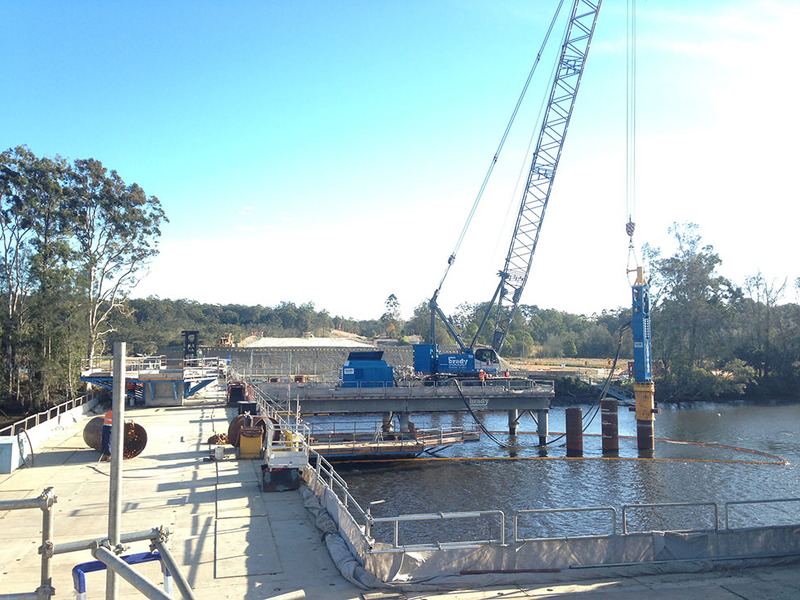 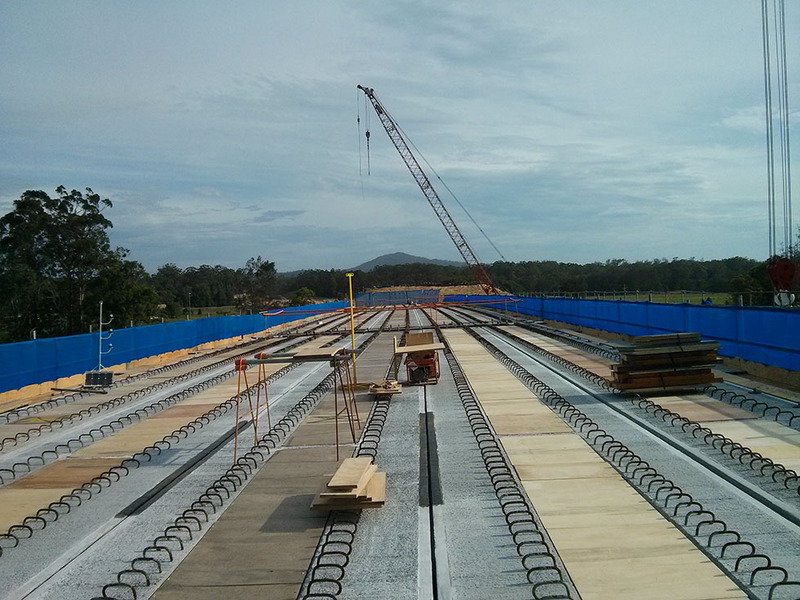 With no access for barges from the sea, works were facilitated by first constructing our heavy duty temporary bridge across the 120m wide river, including fingers to access the pier locations. 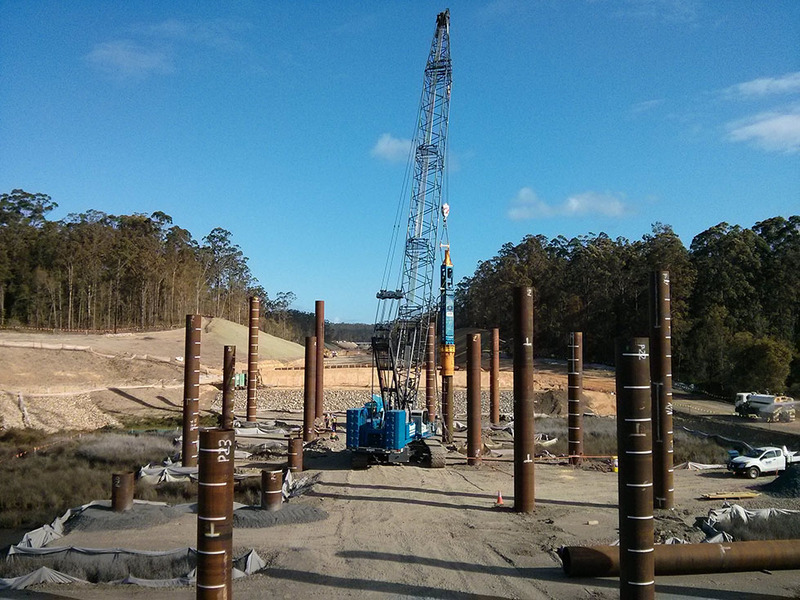 Foundations included 1.2m driven steel tubular piles with internal excavation and a reinforced concrete plug. 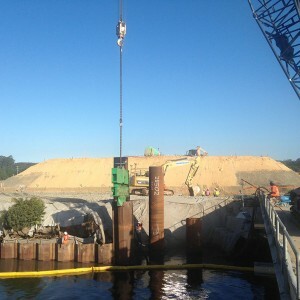 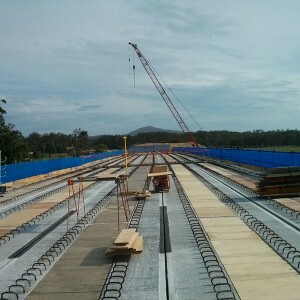 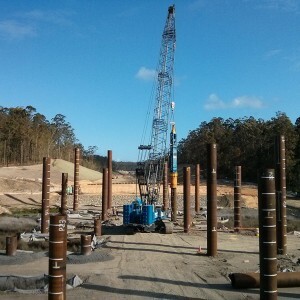 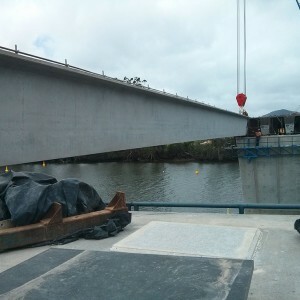 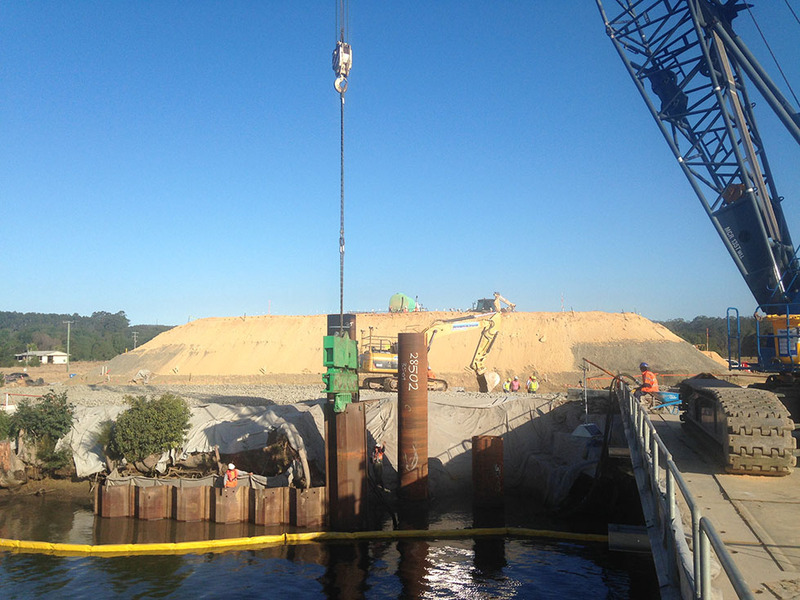 Works included the placement of precast concrete semi-submerged pile cap shells, dewatering and their structural connection to the driven piles. 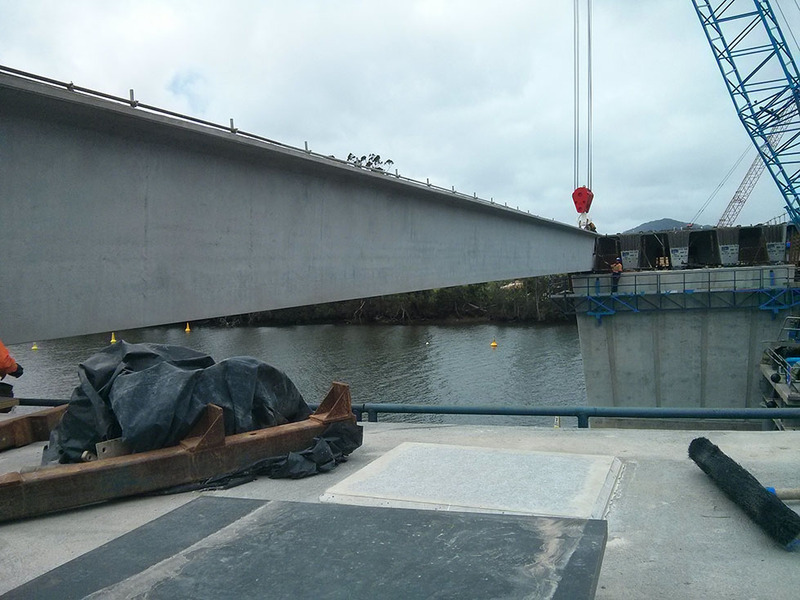 85 tonne T-Roff girders were erected as a tandem lift.